The League was the first international organisation whose principal mission was to maintain world peace. What can we learn from it? 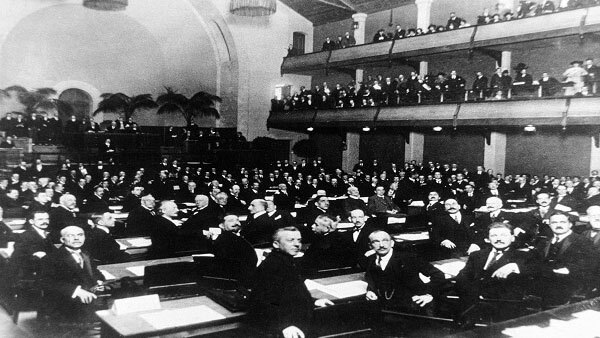 The League of Nations, created in the aftermath of the First World War to ensure war would never again wreak havoc across the globe, was the first international intergovernmental organization and is considered the predecessor to the United Nations. Although the League only endured from 1919 to 1946 and ended its existence seen largely as a political failure, the League set important precedents that continue to affect and influence the work of the international community and the world at large. Recent historiography has been especially focused on the technical, non-political, work of the League and established clear and direct examples on a range of issues covered by the Sustainable Development Goals. Although the League of Nations archives, the original documents from the League that provide primary evidence to its activities, have been open to researchers for several decades, the expectations, needs, and opportunities for contemporary researchers in the digital age differ significantly from those of their predecessors. In order to meet these demands, the UNOG Library Institutional Memory Section is seeking new ways to provide value to its growing digitized collections. As part of the ongoing revitalization of historiography about the League, there has been a demonstrated interest in data about and from the League that have already been used in the context of digital humanities, data analytics, and data visualization. descriptive metadata from standard-compliant archival description. These are just some ideas, but we expect you to come up with your own great ideas too!